"Dolpo Region is famous because it has been the filming site of the Oscar nominated movie CARAVAN "
Dolpo is extremely rich in biodiversity. Upper Dolpo is home to Phoksumdo Lake (3660m), an alpine freshwater lake which has been designated as a Ramsar site. The lake itself falls within the Shey Phoksumdo National Park, the largest national park in Nepal. Dolpo is a remote region in north-western Nepal bordering on Tibet, popular among trekkers for its age-old Buddhist practices, trans-Himalayan landscape, Tibetan culture, and unspoiled nature. Dolpo is still a controlled area and to enter, trekker is required to get special permits from Nepalese government. The Dolpo region is divided into Lower and Upper Dolpo with 90 percent of the regions lying above 3,500m. The region falls in the trans-Himalayan region which means it doesn't receive any rainfall during monsoon. Its geo-climate ranges from temperate to alpine. Most of the upper Dolpo is in the snowline, hence receives heavy snowfall every year during winter. In a region where most inhabitants are illiterate and under the poverty line, the only means of livelihood is subsistence farming and cattle farming such as yaks and horses. People here lead semi-nomadic lifestyle and follow Bon and Tibetan Buddhism rituals. 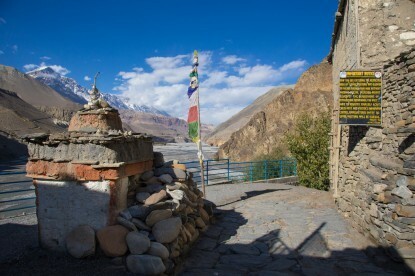 In fact, there are over 20 Buddhist stupas in Dolpo among which 11th century Shey Gompa is one of the prominent and biggest Buddhist gompas in the region. 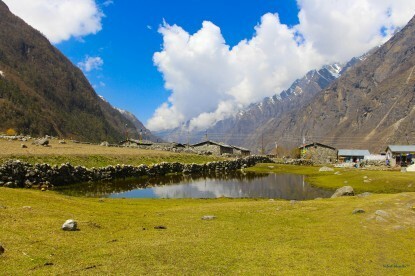 Dolpo is extremely rich in biodiversity. Upper Dolpo is home to Phoksumdo Lake (3660m), an alpine freshwater lake which has been designated as a Ramsar site. The lake itself falls within the Shey Phoksumdo National Park, the largest national park in Nepal. The park provides refuge to a host of endangered species like the elusive snow leopard, blue sheep, black bear, yellow-throated marten along with a range of flora such as rhododendron, juniper, Salix, white Himalayan birch etc. 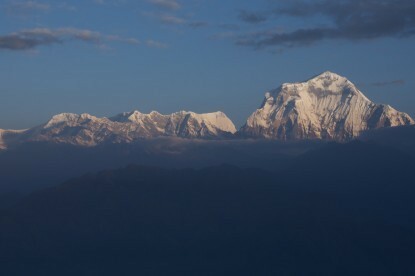 The trail offers splendid views of the snowcapped peaks such as Dhaulagiri and Kanjiroba Himal ranges. 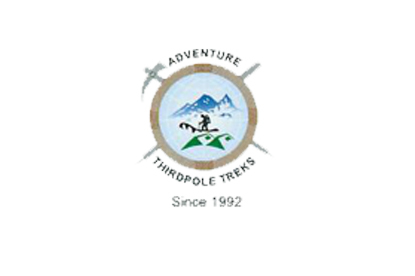 The present-day trekking trail follows the path used by salt and wool traders between Tibet and Nepal. Juphal, Bhijer, Tinje, Saldana, Dho Tarap are few settlements you are likely to pass by in your trekking journey. Enough acclimatization period will be actually needed since the trekking trail has many high passes to overcome. Dolpo is known the world over by such internally acclaimed books and movies as The Snow Leopard, Caravan, Seven Years in Tibet and Nepal.